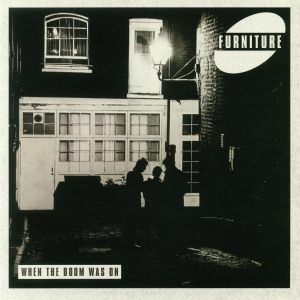 FURNITURE When The Boom Was On vinyl at Juno Records. 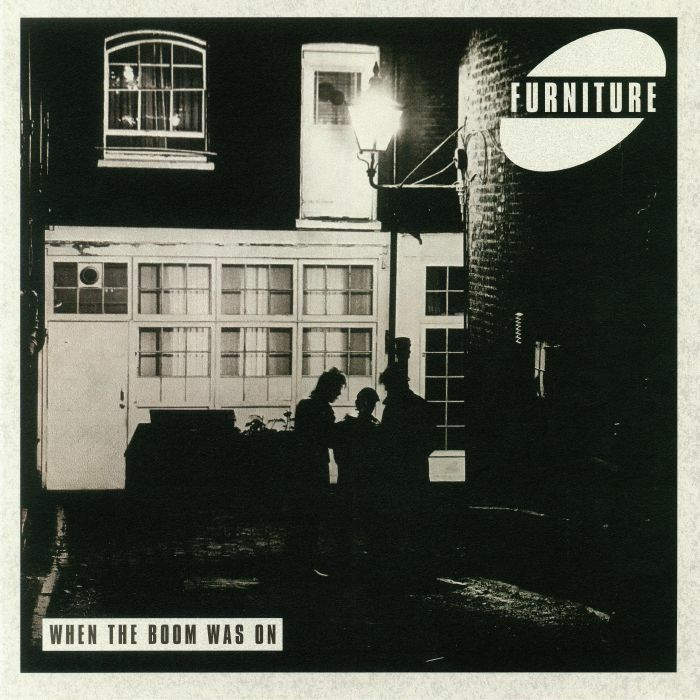 Format: 140 gram vinyl 12"
Emotional Rescue is delighted to present the first of two EPs from British '80s band Furniture, starting with their much sought-after, six-song "mini-album" - as they were known then - which has recently been rediscovered by a new generation of DJs and collectors. "Transatlantic Cable" compares the cliches of a certain type of American romance - Bogart, Sinatra, Dean - to the reality of life in West London. 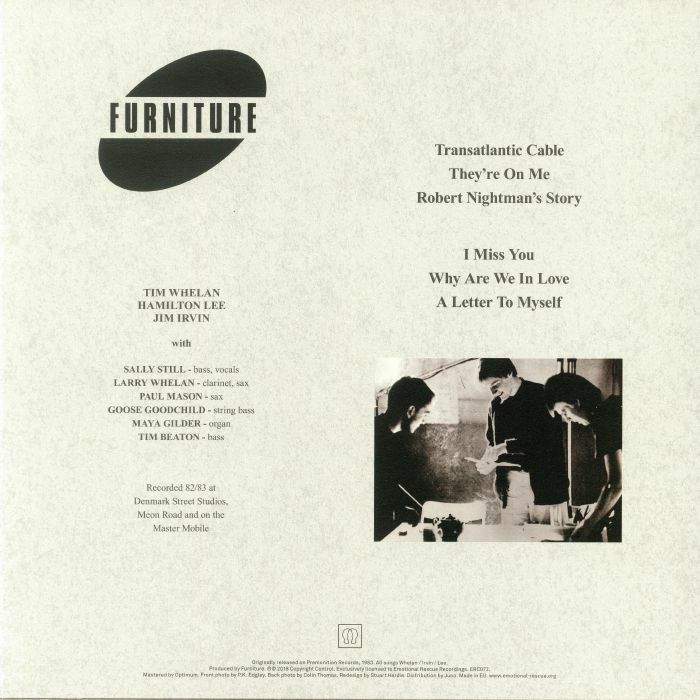 "They're On Me" is probably one of very few pop songs to feature double bass and the word "newsagent", while "Robert Nightman's Story" is powered by a riff on marimba and abrasive rhythm guitar. "I Miss You", a torch song so good you'd think Julie London might have cut it. A highlight for many is "Why Are We In Love". This track is a key reason for the revival of interest in the band, with pattering rhythm part and the sweet clarinet melody, creating an atmosphere that has attracted a following among discerning DJs. "A Letter To Myself" introduced the band's new, expanded line-up adding Sally Still (bass, vocals) and Maya Gilder (keyboards), which would endure until the band stopped in 1990.